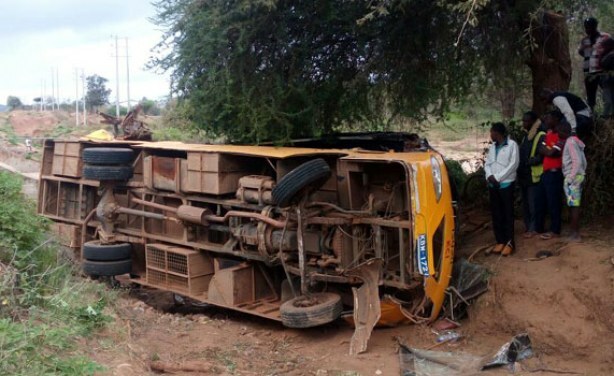 President Uhuru Kenyatta has warned that any school activity involving travel must now be undertaken between 6am and 6pm after the school bus accident in Mwingi claimed the lives of 11 students. The bus was travelling from Mombasa when the accident occurred minutes to midnight. School bus crash site near Mwingi town.